Once winter releases its grip, it will be time for homeowners to get outside and inspect their properties for seasonal damage. 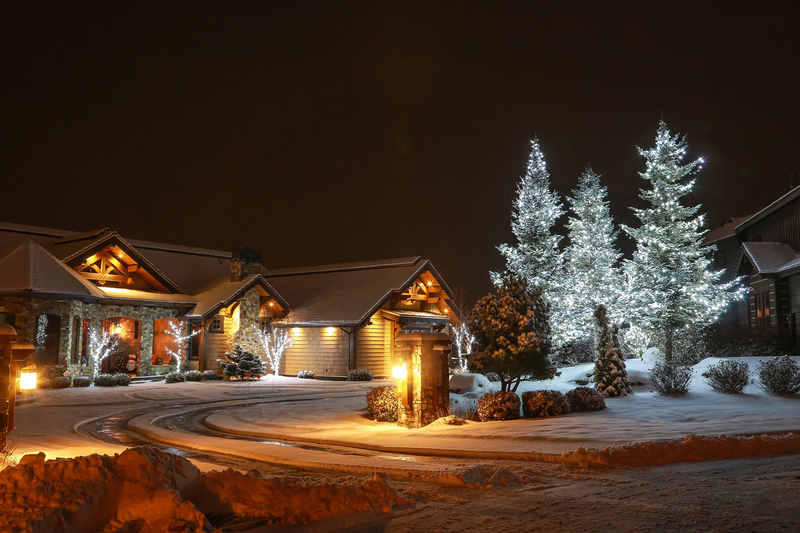 Besides the snow and ice, the biggest culprits of the winter months are a group of specialized pests plus de-icing salts, all of which can damage trees, grass, and shrubs. As the weather begins to warm, it's important to take stock of what damage has been done and develop a plan to get your yard ready for spring enjoyment. Trees and shrubs often bear the brunt of snowfall, literally. Look for any branches that might be broken or have been damaged by ice storms and prune them or have them removed by a professional as soon as possible. You may be surprised to learn that damaged trees are more prone to insect and disease infestations, but proper care can help trees and shrubs repair themselves. Damage Prevention Tip from the Pros: During heavy snowfalls, don't shake tree limbs to remove the snow as this can cause limbs to break; instead, remove the snow by hand from low hanging branches. De-icing salts used to clear streets and walkways are often necessary for safety but they can wreak havoc on grass and plants. Salt will draw moisture from the plant cells causing desiccation. If your lawn is exposed to too much salt, it can cause it to wilt and die. To restore the health of your soil, you can flush the salt in the soil by giving your lawn a deep watering daily once the weather warms. If necessary, remove the brown grass and a few inches of the damaged soil. Damage Prevention Tip from the Pros: During the winter, cover plants and grass close to the road and sidewalks with burlap or snow fencing to provide protection from salt solutions. Check for brown patches in your lawn. Often excessive snow, particularly if areas have been covered with large piles of shoveled snow, will kill grass. To see if your brown grass is either just dormant or is dead, rake away some of the brown so that you can see the lawn surface. Check to see if there is any green tissue beginning to emerge. If so, the area will likely recover with time. If not, and other areas of the lawn are greening up, it's time to make plans for renovation of the areas. To repair, rake up as much of the dead tissue as you can. Adding a light topdressing of topsoil will increase your chances of success with seeding. Use a good quality grass seed that is appropriate for the area you live in. A local garden center, hardware store or your Cooperative Extension Service are good resources to determine this. Rake the seed lightly into the new topsoil, tamping lightly with your feet. Keep the area moist, watering daily if necessary, to prevent the seedlings from drying out. Damage Prevention Tip from the Pros: Try not to shovel large piles of snow on your grass; instead spread piles out over a wide area. Lingering snow can also cause snow mold, a disease that is mainly confined to the leaves of the turfgrass plants. It presents as a circular pattern of grey or pink grass. The disease may go away on its own but if it doesn't, the affected grass should be firmly raked, a light topdressing of soil added and new seed sown. Most often, only a raking is necessary to alleviate the damage. Damage Prevention Tip from the Pros: Snow mold can also be caused by leaves that remained on the ground through the winter, so rake leaves before winter's arrival to minimize the potential damage to your lawn. Moles and voles, deer, rabbits, and other nuisance wildlife often find their winter meals in the yards of unsuspecting homeowners. Damaged grass, gnaw marks on shrubs and trees, and small tunnel systems throughout the yard can be signs that unwanted visitors have taken up residence. Most of the time wildlife will go away once their traditional food sources are more readily available after snows have melted. Most damage to grass from moles and voles will self-correct once turfgrass growth resumes. If trees have been girdled, that is, if they have been stripped of bark by wildlife, they will likely die but should be inspected by an arborist to see if they can be preserved. Damage Prevention Tip from the Pros: Remove heavy amounts of snow from around the base of trees to minimize ground cover for rodents and cover the base of trees with wire mesh. Investing time in a thorough inspection of damage created by the often-harsh conditions of winter can pinpoint small trouble spots to allow remedies to stave off larger problems. Your lawn care and landscape professional can help ensure the trouble spots in your yard are corrected before it's time to get outdoors and enjoy the beauty of spring.